Ryan Giggs has been in the Wales job only four months, but already a few pretty major things have started happening. 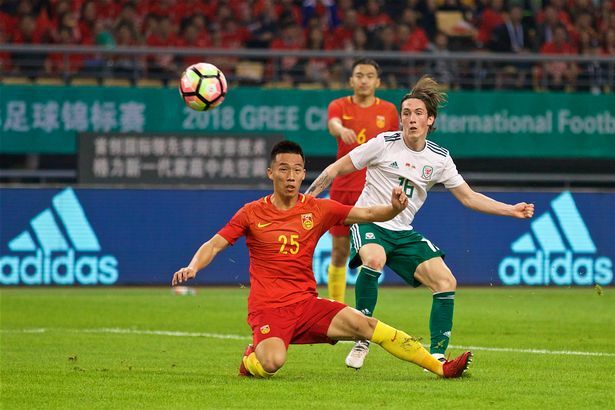 Wales won their first game under his charge 6-0, Gareth Bale smashed Ian Rush's goal record, Giggs is considering taking games back to the Principality Stadium and Liverpool starlet Harry Wilson has emerged to offer yet more promise for the future. Throw in the fact that the anti-Giggs brigade have gone a little quieter, for the time being at least, and fair to say it's been a pretty eventful start to the Ryan reign. This is just the beginning, of course. The real business begins with Euro 2020 qualifying next year, followed by the bid to get to the World Cup in Qatar in 2022. But it's promising thus far. Okay, it was only China who Wales thrashed. But what would Chris Coleman's side have done in Nanning? You can kind of see the scrappy, defensive 1-0 victory already. Giggs' team turned on the style and banged in the goals. He has also taken on an ambassadorial role, attending the Aberystwyth v Connah's Quay Nomads Welsh Cup final and other events, which again answers the questions thrown up by the doubters about his commitment to the cause. 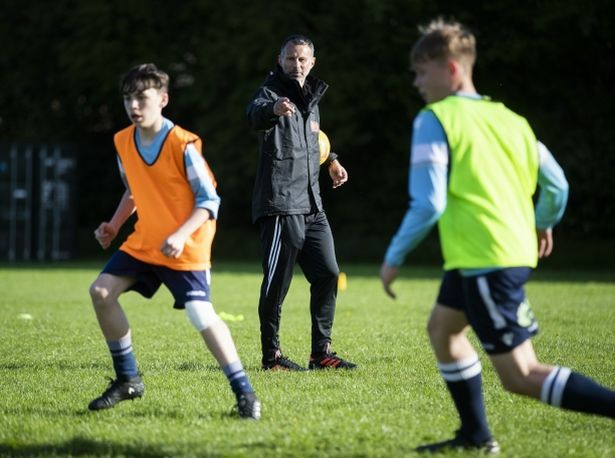 We caught up with Giggs as he was helping coach Welsh youngsters at a football community event in Wrexham, a role he had before and has no intention of giving up. Reflecting upon a whirlwind 17 weeks, Giggs told WalesOnline: "I'm really enjoying it, albeit still getting my head around the demands of the job. Working with players and staff, preparing for trips, that sort of thing, but it was fantastic getting to know people properly out in China and I'm already excited about our friendly against Mexico at the end of the month. "The players were brilliant in the China Cup and a massive plus was having so many really talented youngsters make their mark. "Harry Wilson was excellent, so too Declan John. We hadn't seen him for a while in Wales colours but he really grabbed his opportunity. "One of the things that really excited me about this job in the first place was helping the development of some of these younger players , who clearly have huge ability. "For fans there's nothing quite like the buzz of seeing young players come into the team and wow. "Unfortunately Ethan Ampadu got injured playing for Chelsea, but we know he has a big future with Wales and in the Premier League. "Ben Woodburn was on the trip, although not 100 per cent fit so we couldn't play him, but he's already more than made his mark at international level. "David Brooks is another one who just oozes talent. Chris Mepham came to my attention early on, I had him watched, and he too has so much to give at this level for his country. "Harry Wilson took a huge stride forward. I like him as a player. He can play a variety of roles, out wide, down the middle. He's such an intelligent player, goes into those pockets of pace defenders don't like, creates and scores goals. "These youngsters supplement the core group of players who were already successful at the Euros and fostered a fantastic team spirit. "But this is exactly what you want, competitiveness in the squad, fresh faces every so often. We had others missing, like Aaron Ramsey, so when everyone's together the future really does look bright. If Wilson's startling emergence was a welcome plus out in China, there's no doubt who the star of the show was - yet again. New manager, same old Gareth Bale, this time with a sizzling hat-trick that saw him fly past Rush's 28-goal Wales landmark. 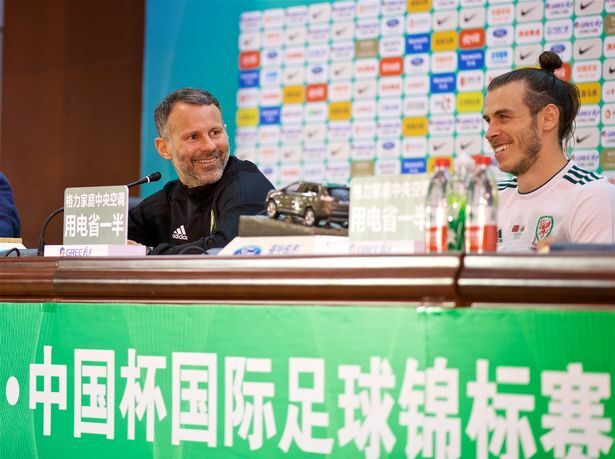 No-one knows better than Giggs the demands placed upon Bale in the red of Wales. The burden of having a nation's hopes upon your shoulders, the fans on the edge of their seat every time the ball is at the feet of the number 11. 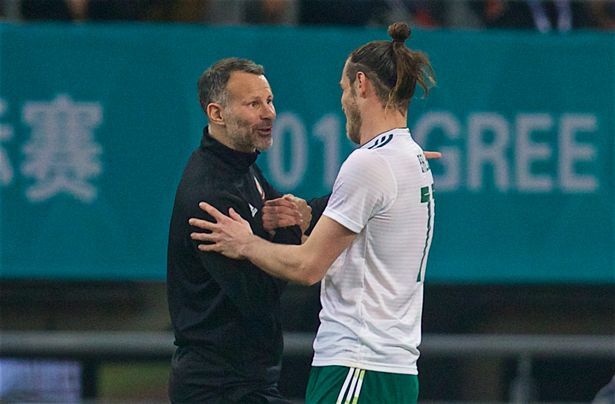 In that respect, he's also the perfect manager for Bale at international level, although when asked who was the better player - Giggs or Bale - the Welsh boss smiled. "Wow, that's an interesting one. Well there are lots of similarities, I suppose. 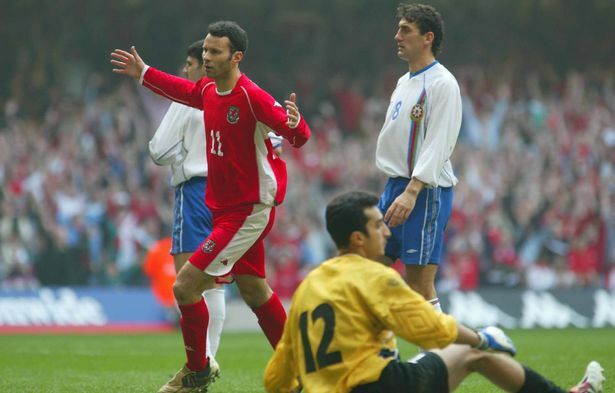 We're left-footed , quick, like to take players on, broke into Wales team when very young,” said Giggs. 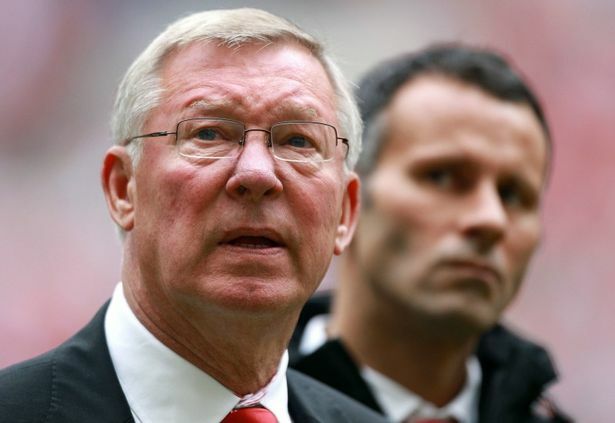 When I suggested it might be an honourable draw, Giggs replied: "I'd certainly take that! Gareth is such a phenomenal footballer. "As a manager you want to work with players who understand exactly what you want from them and the team. You tell them once and they just get it, so to speak. "Gareth is very much of that mould. I asked him to do specific things against China and he just did it without needing to be told a second time. "That's what happens with great players. Gareth is a very intelligent footballer anyway, the game just comes so naturally for him. "Rushie was a different type of player, an unbelievable goalscorer, natural finisher who knew when and where to run and then made goalscoring look easy at times. Which trust me it is not. "When I first came into the squad at the start of the 1990s, Rushie was obviously one of the big players and straight away I could see how he led by example and how hard he worked. "It's the same with Gareth and youngsters who come into the Wales squad today. He's a fantastic role model for them. "People say Gareth is Wales' greatest player, although it's hard to make comparisons as there's also John Charles and one or two others to consider. But he's definitely right up there. As has been well documented, there was plenty of negative chatter about Giggs getting the Wales job, although he has been bowled over by the backing he has received thus far in situ. "It's been absolutely terrific and greatly appreciated. Obviously we need that as a nation, the fans to get fully behind the team and the cause. We won't achieve anything if we're not in it together,” he said. But whatever happens from here on in, Giggs is determined to do the job as he sees fit. That means evolving the team and not just carrying on with the style that helped Wales to their stunning Euro success, but also saw them fail in World Cup qualifying. "I'm quite open to speaking to other people because the more you can learn as a young manager the better,” he said. "I had messages of support from Chris Coleman when I first got the job, which were greatly appreciated. I spoke to Sir Alex (Ferguson) because he was such a huge influence on my career and it would have been silly of me not to. "But the truth is I'm very much my own man. I do take advice from people I have played under down the years, but I want to do things my own way with Wales, make my own decisions. "Chris would be the first to admit that when he first took over he didn't necessarily do that. Once he did, look at the phenomenal success he achieved. One of those calls, of course, will be where Wales play their matches. The November friendly with Spain is likely to go to the 74,000-seater Principality Stadium, Wales' previous home. Giggs has personally seen the best and the worst of the venue and FAW boss Jonathan Ford hinted it was the manager who would make the decision whether to go back for certain matches. It's something of a chicken and the egg dilemma. 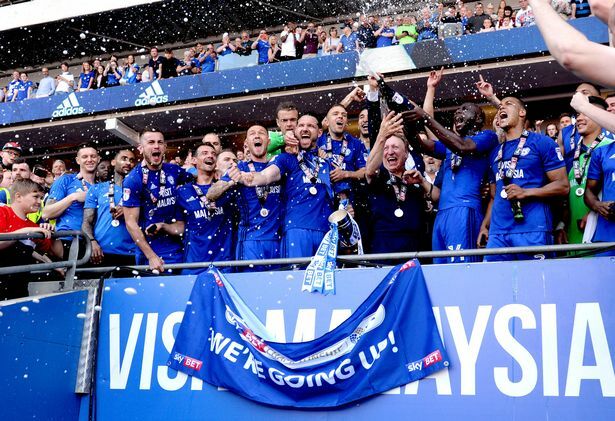 Cardiff City Stadium has been turned into a Welsh fortress, fundamental to the team's success. But because of that very success, the side have outgrown the home of the Bluebirds for really big games where demand outstrips ticket supply. Giggs and the FAW want as many people as possible to have the opportunity of watching Wales, but given the sensitive nature of the subject - with many hard-core fans aghast at the thought of returning to the home of Welsh rugby - he side-stepped the question with the same deftness as he managed against defenders. "Look, that's something I will think about more deeply as and when it comes around,” Giggs said about the venue for Spain. "Before that my focus needs to be on Mexico and the Nations League games against Denmark and Ireland in the autumn. "That said, I fully understand why Spain has captured the imagination of the public and led to so much excitement. "We will take each game on its merits, if necessary move Spain. We evaluate what we think will be best to not only get a good result, but also for the Welsh fans to see matches. "Obviously the players have had tremendous success at Cardiff City Stadium, become very difficult to beat there. The record there speaks for itself. "I've also seen the two sides of the Millennium Stadium, played there when the ground has been half empty, but also against Italy, when it was packed out, and Germany, when the atmosphere was fantastic and we won big games. "At some point we will have those conversations about what's best for the team, what's best for the fans and what's our best opportunity of getting a positive result. After Mexico, Giggs will be in Russia for the World Cup where he will combine punditry work for ITV with an opportunity to spy upon future Welsh opposotion. Then it's the Premier League again... with a certain Cardiff City amongst the elite this time around. "It's absolutely brilliant. They are my home-town club so naturally I'm delighted, but it's bigger than that,” beamed Giggs. "This is fantastic for the country as a whole because while it's great to have domestic success, it also benefits the national team. "I've been rooting for Swansea to keep their Premier League place as well. "It'll be fabulous for Welsh youngsters to come through and hopefully gain Premier League experience, as I did, early in their careers. Giggs also wants to play his part in aiding that Welsh development process. 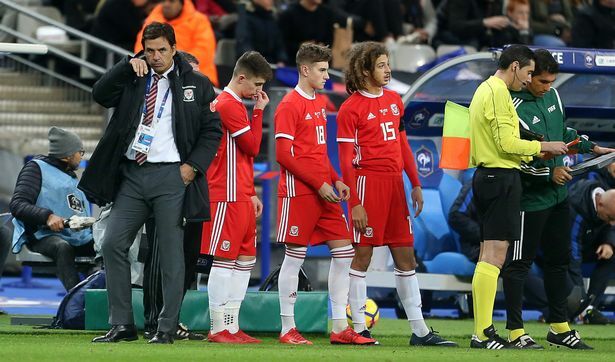 Having already brought through youngsters in China, he is also working closely with Welsh youth guru Osian Roberts and continuing work he has done at grassroots level down the years. After surprising youngsters at Rhosddu United in Wrexham with a masterclass, he said: "Grassroots is something top players have been involved in and it's really important. Ryan Giggs coaches youngsters in Wrexham: Picture By Mark Robinson.